Define indices of infant mortality, education, nutrition, income, marginalization and Human Development Index (HDI). Explain the value of the indices in measuring disparities across the globe. Composite indicators use a combination of different indicators to get a more accurate picture. The gross domestic product (GDP) is one of the primary indicators used to gauge the health of a country's economy. It represents the total dollar value of all goods and services produced over a specific time period; you can think of it as the size of the economy. Long and healthy life assessed by life expectancy at birth, using a minimum value of 20 years and maximum value of 85 years. Being knowledgeable measured by mean of years of schooling for adults aged 25 years and expected years of schooling for children of school entering age. The indicators are normalized using a minimum value of zero and maximum aspirational values of 15 and 18 years, respectively. The two indices are combined into an education index using arithmetic mean. A decent standard of living measured by gross national income per capita. The goalpost for minimum income is $100 (PPP) and the maximum is $75,000 (PPP). The HDI uses the logarithm of income to reflect the diminishing importance of income with increasing GNI. It is a composite indicator which measures life expectancy, education and per capita incomes. It allows for comparison between regions and countries. It has been in existence since 1990 and allows for analysis of change over time. It does not take into account environmental cost of development. It could be based on unreliable data. It is an average and does not show internal disparities. It does not measure human rights, levels of corruption, gender equality etc. 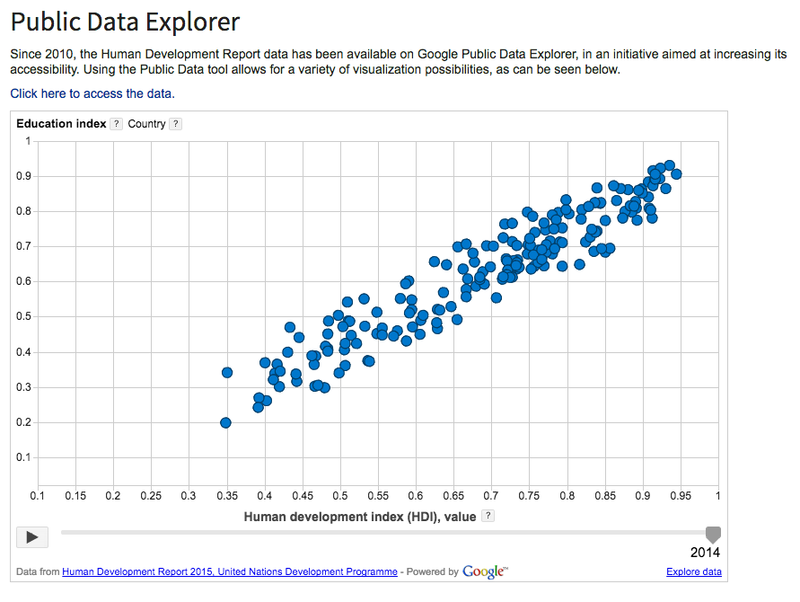 Find data examples for HDI countries in the top, middle and bottom of global averages. Explain disparities and inequities that occur within countries resulting from ethnicity, residence, parental education, income, employment (formal and informal) and land ownership. The Gini coefficient (also known as the Gini index or Gini ratio) is a measure of statistical dispersion intended to represent the income distribution of a nation's residents, and is the most commonly used measure of inequality. Those in the poorest areas have highest risk of premature death, infant death. 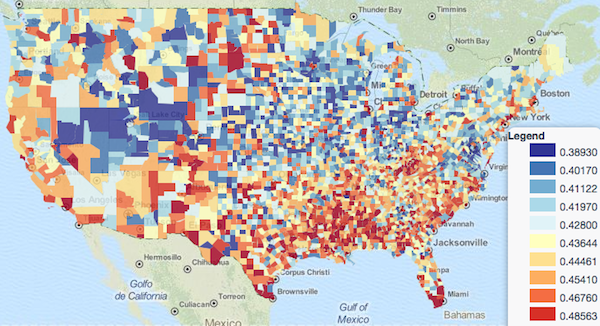 Residents of north 20% more likely to die before age 75 compared to south. Create a short presentation summarising the findings from your section. Include: bullet point summaries of information, data, images/maps/graphs. ethnic disparity in washington d.c. This question focuses specifically on the way in which political borders become less significant with the free movement of people, goods, capital and ideas in a multi-governmental organisation such as the EU. Answers must therefore focus on this aspect and address issues that deal specifically with the diminishing effectiveness of political borders. It is likely that answers will focus on the removal of all trade barriers, customs and travel restrictions to all EU citizens. This means that goods, people and labour, capital and ideas can flow freely around the 27 members of the European Union without any form of control. This renders political boundaries and national borders completely redundant in this respect. Although they continue to demarcate the spatial extent of sovereign territory and therefore the limits of national policy, laws and society, their physical location are purely symbolic to these kinds of flows. The Schengen Agreement coordinates security intelligence and action to the extent that police forces in one member state may continue their pursuit of suspected criminals across political borders where they would previously have to stop. The agreement also imposes a common immigration policy whereby the immigration status of an individual in one member state enjoys the same status in another and can therefore cross internal political borders freely. The strongest answers are likely to consider the increased effectiveness of the EU’s external borders whereby security and immigration checks are increased under the terms of the Schengen Agreement. These external borders also become more significant in the sense that goods, people and capital are subject to much stronger trade and travel restrictions through the use of tariffs, quotas and passport checks and visa requirements.